Dawson, Thomas Fulton. 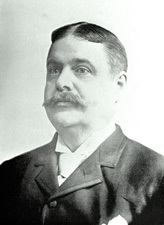 Life and Character of Edward Oliver Wolcott, Late a Senator of the United States from the State of Colorado. 2 vols. New York: Knickerbocker Press, 1911. Horner, John Willard. Silver Town. Caldwell, ID: Caxton Printers, 1950.